Jeffrey Rosen: What are your thoughts on the #MeToo movement and will it prove lasting progress for women’s equality? Ruth Bader Ginsburg: It was a question I was asked this afternoon at the University of Pennsylvania Law School. What I wanted to convey there was that sexual harassment of women has gone on forever, but it didn’t get headlines until a woman named Catherine MacKinnon wrote a book called Sexual Harassment of Working Women, and that was the start of litigation under Title VII [of the Civil Rights Act]. A few cases came to the Supreme Court and they all came out right. But still, women were hesitant. I think one of the principal reasons for it was because they feared that they would not be believed. The number of women who have come forward as a result of the #MeToo movement has been astonishing. My hope is not just that it is here to stay, but that it is as effective for the woman who works as a maid in a hotel as it is for Hollywood stars. Rosen: Many women are wondering, will this prove a lasting advance for women or, like previous discussions of sexual harassment in the 90s, will this advance pass? Ginsburg: I think it will have staying power because people, and not only women, men as well as women, realize how wrong the behavior was and how it subordinated women. So we shall see, but my prediction is that it is here to stay. Rosen: Why is it happening now? Is there something about what Millennials are doing that has caused the #MeToo movement or is it something else? Ginsburg: I think we can compare it to the gay-rights movement when people stepped up and said, “This is who I am and I am proud of it.” They came out in numbers instead of hiding, disguising. That movement developed very rapidly, and I think we are seeing the same thing with sexual harassment. Rosen: Did you see this one coming? Ginsburg: No, no. And why did it happen just when it did? I’ve heard from women who told stories about Harvey Weinstein many years ago. And then the Times decided to do a big story on it. I think it was the press finally taking notice of something they knew long before that propelled it to the place it now holds in the public arena. Rosen: What is your advice to all women, young women and to all women, about how to sustain the momentum of the movement and to make its changes lasting? 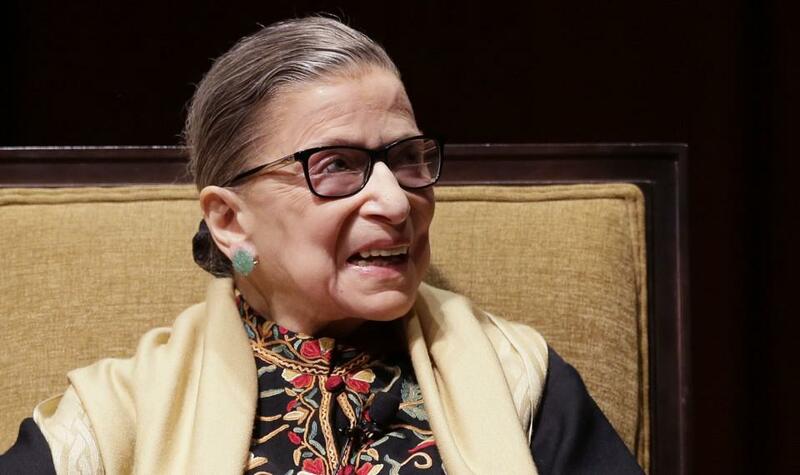 Ginsburg: I have heard from lawyers that women have come forward with stories about things that happened many years ago, and even though the statute of limitations is long passed, these cases are being settled. One interesting thing is whether it will be an end to the confidentiality pledge. Women who complained and brought suit were offered settlements in which they would agree that they would never disclose what they had complained about. I suspect we will not see those agreements anymore. Rosen: What are the legal changes necessary to make these reforms permanent?